A fast absorbing, luxurious skincare complex of nutrient rich botanicals and essential oils meant for supporting aging skin. Formulated to combat fine lines, skin discoloration, age spots, and large pores. Leaves skin hydrated and silky soft. Myrrh, Frankincense, Clary Sage, and Rosewood essential oils create a powerhouse blend to support aging skin. 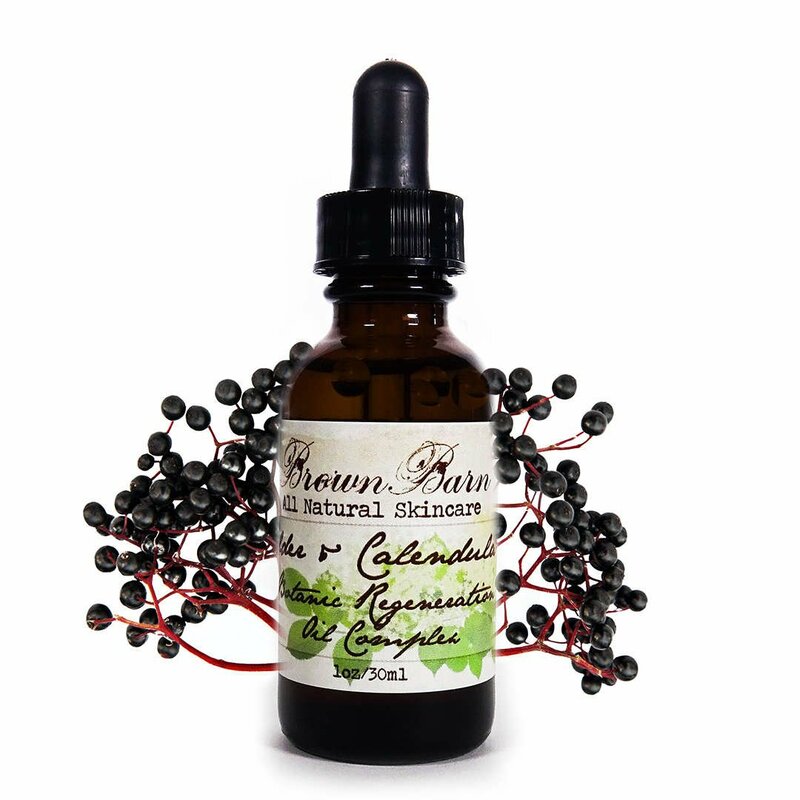 This serum is built in a base of rich organic Olive Oil, making it a slightly heavier face oil. Olive Oil is super rich in antioxidants that help fight the signs of aging and environmental damage. Olive Oil is also loaded with vitamins A, D, E, and K, making this face oil blend especially good for skin conditions. Infused with skin soothing and antioxidant rich botanicals of Calendula, Chamomile, Red Raspberry Leaf, Arnica, Elder Flower, and Lavender. These botanicals are organic cultivated at our own farm. Layer Oil with Facial Serum and Moisturizer for a complete application of minerals and botanic elements. Pair with Brown Barn eye care products for even more coverage. Gentle enough to be applied AM and PM, Facial Oil is most commonly used at night after applying Toner. 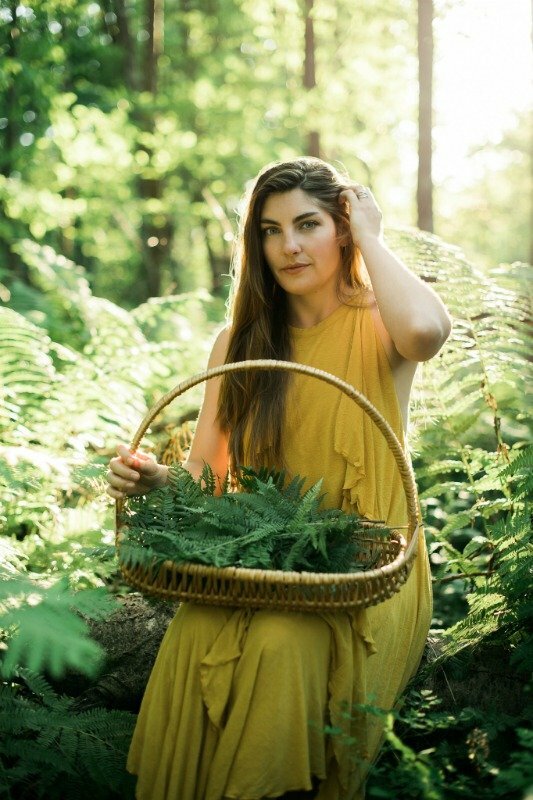 Follow with Brown Barn Facial Serum and Moisturizer. Pump a small amount onto fingertips and massage into skin in upward strokes. Avoid direct contact with eyes. INCI: Olea Europaea (Olive) Fruit Oil, Calendula Officinalis Flower Extract*, Arnica Montana Flower Extract*, Chamomilla Recutita (Matricaria) Flower Extract*, Rubus Idaeus (Red Raspberry) Leaf Extract*, Sambucus nigra (Elder Flower) Extract*, Lavendula Angustifolia (Lavender) Flower Extract*, Tocopherol Pure Vitamin E, Commiphora myrrha (Myrrh) Oil*, Boswellia carteri (Frankincense) Oil*, Aniba rosaeodora (Rosewood) Wood Oil*, Salvia sclarea (Clary Sage) Oil*. 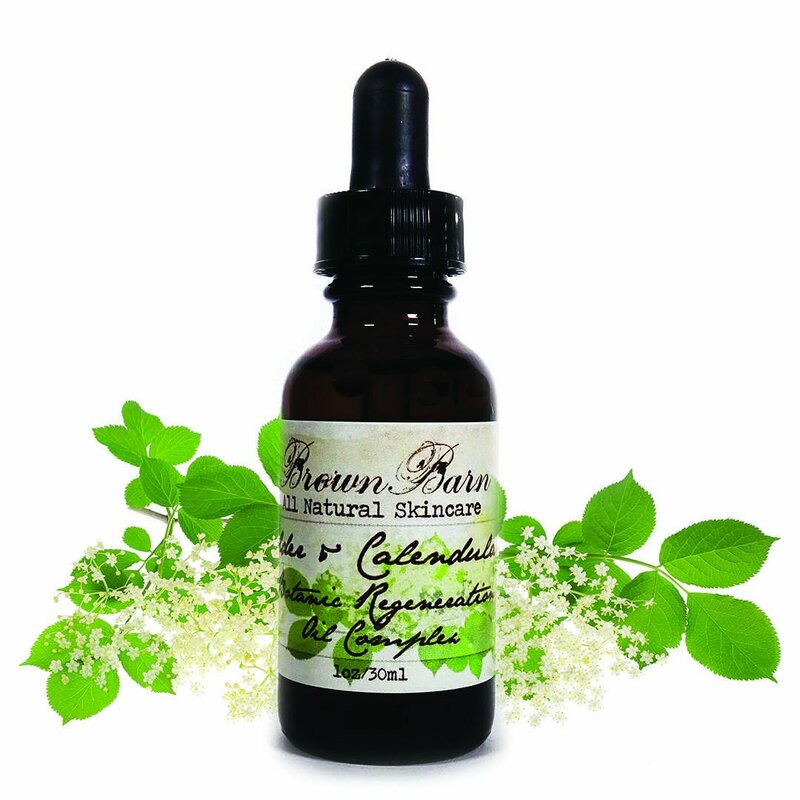 This facial oil was designed specifically with protective anti-oxidants ingredients to aide in defending against aging and environmental exposure. Softening and conditioning, Organic Olive Oil was selected as the oil base due to its ability to gently moisturize without clogging pores. Olive Oil is also great for sensitive skin and skin exposed to sun and pollution. Made with a solar infusion of botanic ingredients, selected for their anti-oxidant and age-defying constituents, meant to help reduce the appearance of fine lines and wrinkles. Brown Barn Botanicals Farm in Wisconsin. 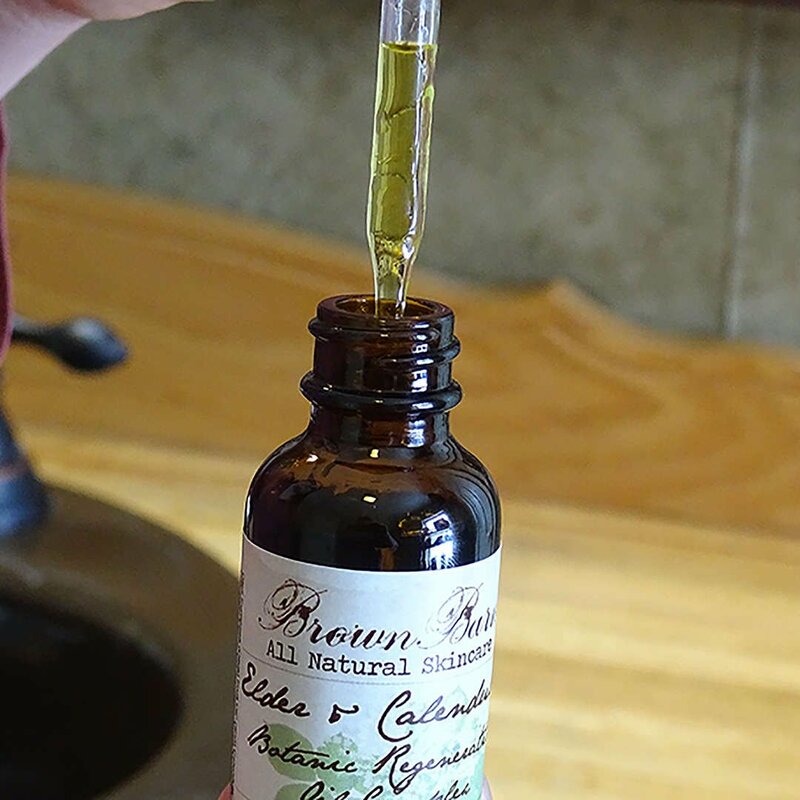 Elder & Calendula Facial Oil begins at the Brown Barn Botanicals Wisconsin farm, where we grow, cultivate, and hand harvest many of the herbs used in this product. Once harvested, cleaned herbs are infused in Organic Olive Oil at the Brown Barn Botanicals professional lab. Once infused, this valuable oil is bottled with added pure top grade essential oils for even more skin loving support. 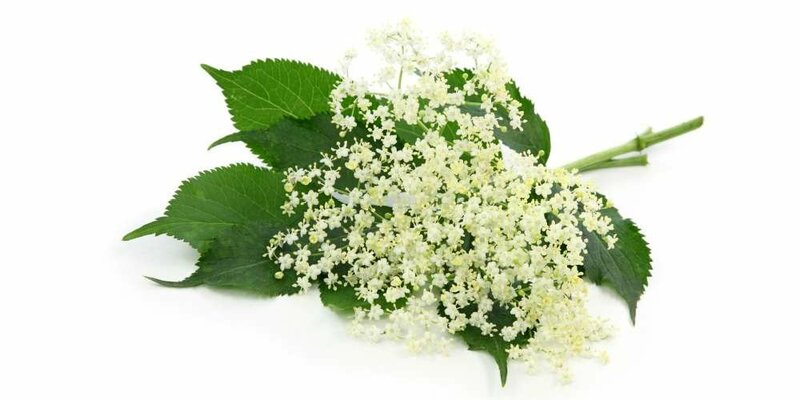 Elder flower is naturally anti-inflammatory and rich in antioxidants to fight the effects of aging and environmental damage caused by free radicals. High in skin loving flavonoids and antioxidants. 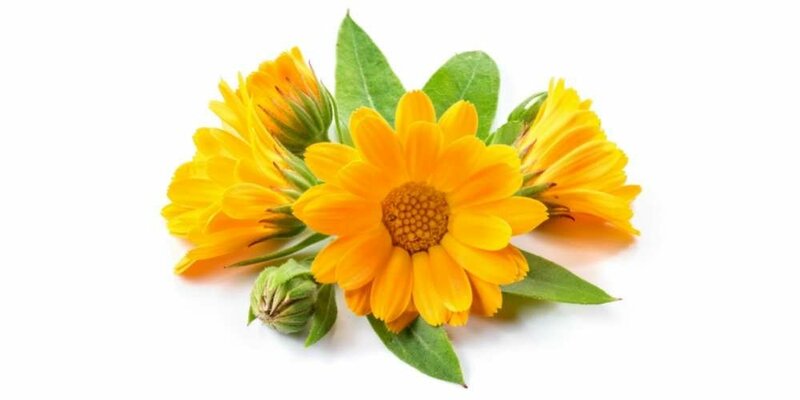 Naturally soothing to skin, Calendula has moisturizing properties. 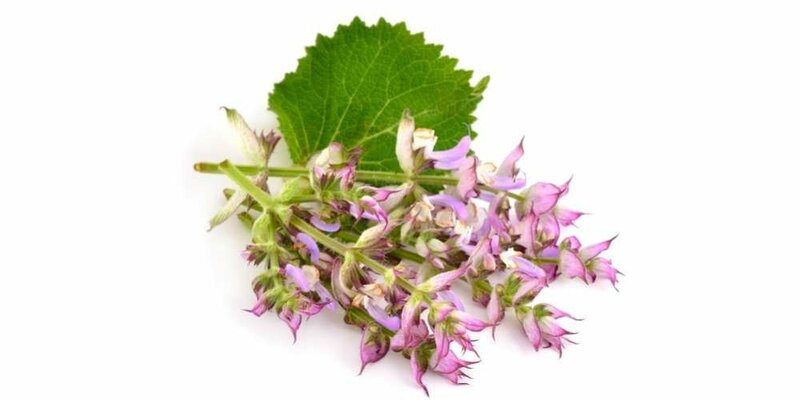 Believed to naturally stimulates the production of collagen to help reduce and prevent the formation of wrinkles. Supports the regulation of sebum (natural oil) production to balance both oily and dry skin. Anti-bacterial properties help protect against break-outs. Uplifting and anxiety reducing/confidence strengthening Aromatherapy Benefits. 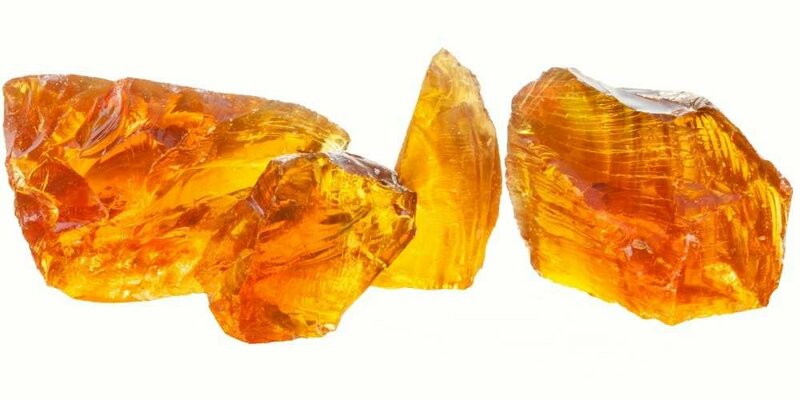 Myrrh is soothing and cleansing to skin. Its aromatherapy benefits are believed to relieve tension, support balance, and promote a peaceful mood. 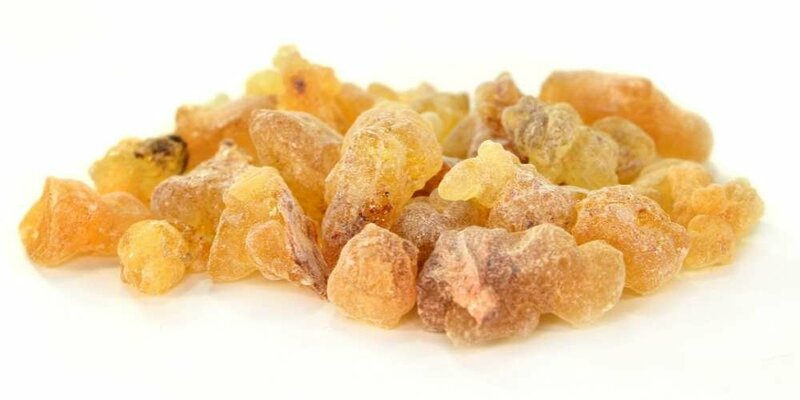 Frankincense essential oil is highly astringent. It supports efforts to tighten pores, reduce the appearance of wrinkles, and fight acne/break-outs. 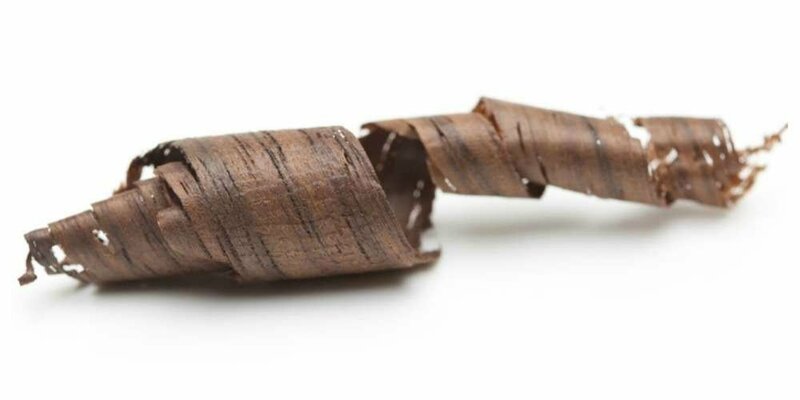 Rosewood is an amazing oil for aging skin. It improves blood circulation in order to encourage tissue regeneration to fight premature aging and wrinkles. An uplifting scent.